Herrenhuter readings for Saturday, the 20th February 2106. Lightning Cut: Who’s Gotta Keep the Faith? What is faith? Where does it come from? And how is the Christian understanding of faith different from the world’s? Issues, Etc. Link: Issues, Etc. Classic: The Solas of the Reformation, Part 2: Faith Alone – Pr. Steven Parks Around the Word Devotions (http://www.whatdoesthismean.org/devotions.html) Rightly Divided Daily Meditation Blog (https://rightlydividedbible.wordpress.com/) Questions about the Lutheran Ninja […] ↓ Read the rest of this entry… The post Lightning Cut: Who’s Gotta Keep the Faith? appeared first on Worldview Everlasting. If we want to understand what the Bible teaches about faith and baptism, we can’t pit our modern, reasonable, rationalistic assumptions against Scripture. No cherry-picking of verses allowed, and no tossing anything out that doesn’t fit your preconceived notions. Scripture has to work in harmony, not against itself. There. Now that we’ve established that, what […] ↓ Read the rest of this entry… The post AskDaPastor2.0: Baptism Goes Into Plaid appeared first on Worldview Everlasting. To be recognized as deserving to exist on my own terms is the highest hunger of fallen humanity. But God would not have the sinner die, and so he assaults this self-faith with his own Gospel of who Jesus is and what he has done. In this presentation, Pastor Fisk seeks to drive home how […] ↓ Read the rest of this entry… The post Sola Fide and Sola Gratia: The Scandal of Meaninglessness appeared first on Worldview Everlasting. F524Frr4NzM[/youtube So why don’t we follow all those Old Testament laws again? Shouldn’t good Christians do what the Bible says? We’re always trying to justify ourselves by our works, and together with Paul, we should rightly anathematize ourselves when we do that!! This episode gets a little intense, so buckle up! Questions about the Lutheran […] ↓ Read the rest of this entry… The post Your Inner Judaizer is Anathema appeared first on Worldview Everlasting. Galatians 3 “By Faith, or by Works of the Law?” with guest Rev. 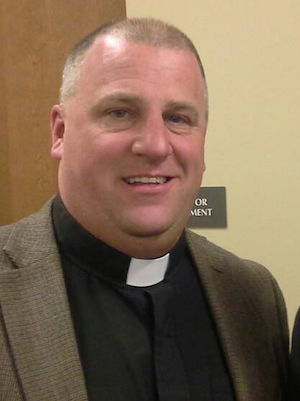 John Lukomski of St. Paul/Trinity Lutheran Churches in Southern Illinois. His Time – Prison and Jail Ministry, By Faith or by Works of the Law? (1) Rev. 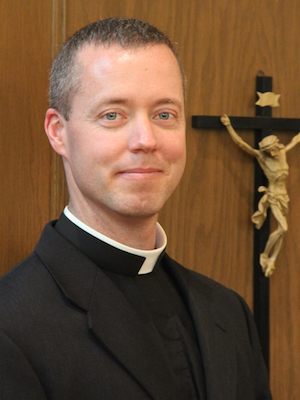 Jeffrey Nehrt talks about the Prison and Jail Ministry, and (2) Rev. Randolph Raasch looks at Galatians 3:1-22 and gives today’s sermonette. You can’t pit Paul against Jesus against Peter against Matthew. And yet if you try to say that we work to make ourselves righteous, that’s what you have to do. It’s all about believing Jesus’s actual words, which is what our second question is about! Check out the Issues Etc Making the Case Conference here: […] ↓ Read the rest of this entry… The post Everlasting Extras – Righteousified!! appeared first on Worldview Everlasting. Is It Hearing Or Being Baptized?